KBFTN has a great 2017 season in the works. We have many great sponsors who have joined us again, and some new sponsors who have joined. The season will be a little shorter than last year’s and have fewer stops, but we are adding more weekend tournaments for those who find it difficult to make the weeknight tournaments. Craig Dye will be the primary contact since unfortunately Sarah and I have had to relocate. Craig is one of the Founding Members of KBFTN, and has done a fantastic job for the past four years overseeing the daily operations, organization, social media, and seeking sponsors. Last year 2016 KBFTN had 109 different anglers over 9 tournaments, and averaging 39 anglers per tournament with the largest tournament hosting 66 anglers. 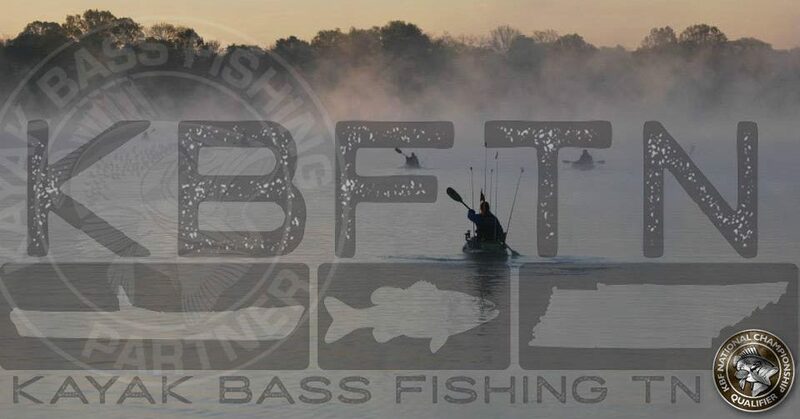 KBFTN is the largest tournament series in the state of Tennessee drawing anglers from Tennessee, Alabama, Louisiana, Georgia, Ohio, Mississippi, Missouri, Florida and Kentucky. Angler of the Year went to Jim Flowers, and Runner-up was Craig Dye. The Youth Angler of the Year was Dylan Jones who also finished in 3rd place for the Open Angler of the Year. The KBFTN Team has also won the Tennessee State Championship two years in a row “2015&2016”. For 2017 KBFTN has 14 sponsors, with the primary sponsor being Hook 1. Other notable sponsors are Last Kast Productions, Heroes on the Water, Bad Boy Jigs, Tourney Tag, Orion Coolers, All Pro Rods, Power Team Lures, Kayak Bass Fishing Magazine, Bending Branches, Line Out Custom Tackle, Tennessee Moving Waters, Leland Lures, and Kayak Bass Fishing. During the 2017 Season we will also be keeping stats on average length, most inches, and points. KBFTN will continue to be a qualifier for the 2018 Kayak Bass Fishing National Championship, and the 2017 KAST Tennessee State Championships. This entry was posted in Uncategorized on February 28, 2017 by Jeremy Meier.